You may have heard that the Midwestern United States has experienced a bit of a cold snap this week. I realize that there are parts of the world where people live (if you can call it living) with subzero temperatures and unimaginable wind chills on a regular basis. But Missouri is not one of them. Weather only a penguin would love. Our forecast for this past Monday included a morning temperature/wind chill that was nearly identical to that of the Amundsen-Scott South Pole Station in Antarctica! At those temperatures, you can literally throw a cup of boiling water into the air and watch it turn to snow before it hits the ground. And, yes, we tried it, because what else are you going to do on an impossibly cold day stuck at home with the kids. So there was no school for the kids and most activities that could be cancelled, were. Even my Tuesday morning Coffee & Critique writers’ group decided not to meet, mostly because driving on sort of clear roads in reluctantly running cars seemed like a bad idea to most of us. 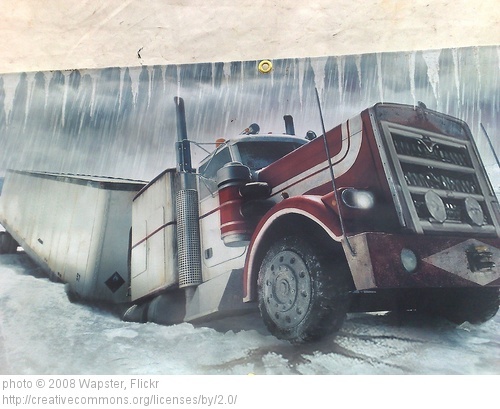 When an ice road trucker gets stuck in the cold, he grumbles, pulls out his chains and goes about his business. When it happens to a Missourian, he gets hypothermia and his fingers fall off. For a Missourian, this would be a problem. 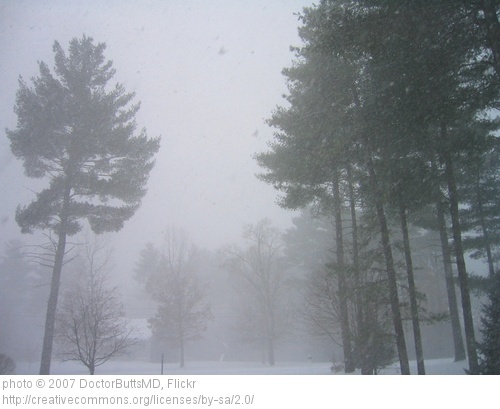 But a weather-induced slow-down is not necessarily a bad thing for a group of writers. 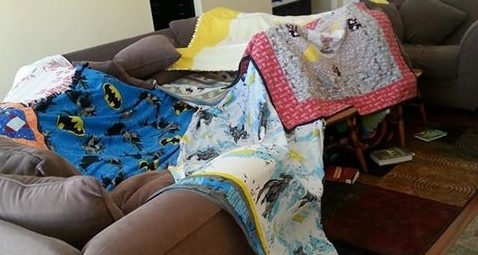 In fact, those among us who didn’t spend the time making a giant blanket fort that enveloped the entire living room will probably have better polished or lovely new pieces to show for it. That’s what writers do when the weather doesn’t accommodate our plans. We write. And build blanket forts. But mainly, we write. That’s what happened anyway in “the summer that never was” of 1816. For several years prior the earth had experienced a series of volcanic eruptions, culminating in the devastating eruption of Indonesia’s Mount Tambora. Together these events spilled enough volcanic ash into the atmosphere to lower temperatures and depress crop production throughout much of the world. It also affected the vacation plans of friends Mary Godwin (later Mary Shelley), Percy Bysshe Shelley, Lord Byron, and John Polidori who had hoped to spend a delightful summer together at Villa Diodati on Lake Geneva in Switzerland. Finding the chilly weather hopelessly dreary the group abandoned its plans for a friendly jet-ski competition and turned instead to the building of blanket forts and the sharing of scary stories, inspired by the ominous weather and accompanying depression. What resulted was a story that would become Mary Shelley’s masterful Frankenstein. Also the offerings of Lord Byron who produced a bit of vampire lore he picked up while traveling served as the inspiration for Polidori’s The Vampyre. This work led to the romantic vampire literary genre without which New Orleans would be safe from the voracious appetite of the overindulged undead and Forks, Washington would have just a little less love and sparkle. I guess we have to blame Mount Tambora for this, then. So, you see, great things can come from strange weather and from groups of writers getting together to share their creativity. I have been the very fortunate member of two active writing critique groups, first in Oregon and now in Missouri. Both include members with a wide range of gifts, writing in a multitude of genres with a variety of writing goals. But each has given me great opportunities for growth within my craft. I don’t know that we’ll establish a new genre or redefine the collective imagination of the monstrous, but I am looking forward this Tuesday to seeing what the cold weather and forced inside time has produced. I might have something to share, too, if my kids ever go back to their (frozen?) school. For now, I just have an incredible blanket fort in my living room. I may not be getting much writing done, but this is a fun place to hang out. I am in the KC and feel your pain. The temps are better now at least, but I think I’m ready for Spring. My husband has decided to spend some time this year filling in some of the holes in his literary background. He started with Frankenstein. 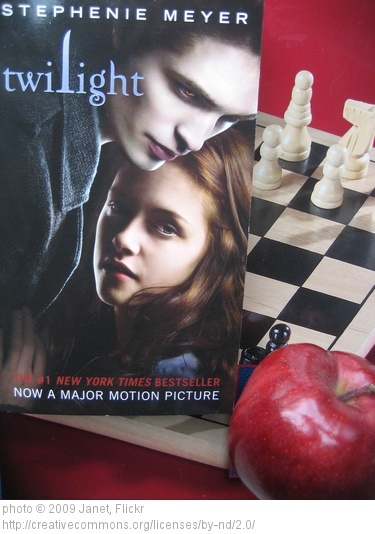 It was fun to rediscover it as he read. Thanks for a funny and inspiring piece! I’m in Ottawa, Kansas. Tuesday morning, I noticed that the weather had improved and that it was, in fact, 20 degrees warmer than the same time Monday morning. Then I realized how strange it was that I was celebrating having reached 15 degrees with a wind chill of ONLY -5. I get that. We have a high of 45 degrees today and I feel like it might at well be August. It certainly has a first day of school feel after almost a full week of snow cancellations. And I sympathize with your husband. Somehow, I managed to exit the American school system without having read To Kill a Mockingbird or The Great Gatsby. I just read them for the first time a couple of years ago (in my thirties). To Kill A Mocking Bird is on his list as well. I had a pretty good literature background from high school compared to him, but I still had a lot of ground to cover by the time I was preparing for comps in grad school and my list is still pretty long. So many great books; so little time.